Home > American Football > Cornelius leads No. 24 Oklahoma St. past No. 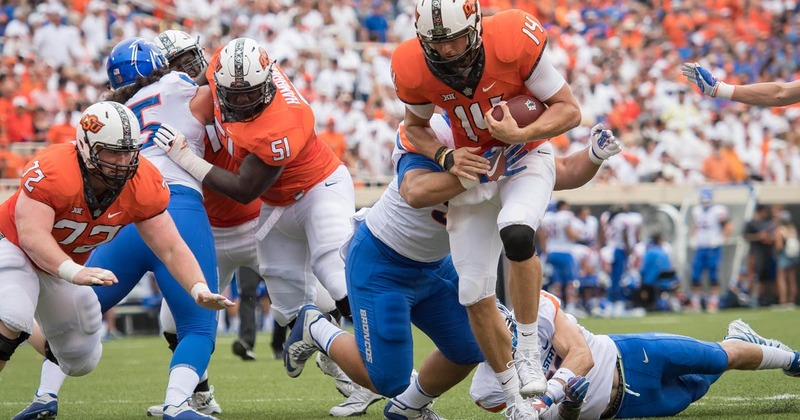 17 Boise St.
STILLWATER, Okla. (AP) — Finally, Taylor Cornelius has emerged from Mason Rudolph‘s shadow. Cornelius waited his turn for years behind Rudolph, who now is with the NFL’s Pittsburgh Steelers. He made the most of his first career start against a ranked opponent. “It’s hard to faze that guy,” Oklahoma State coach Mike Gundy said. Oklahoma State’s top returning receivers this season were Jalen McCleskey, Dillon Stoner and Tyron Johnson, but Tylan Wallace has become the standout. The 6-foot sophomore caught five passes for 105 yards a week after catching 10 passes for 166 yards against South Alabama. 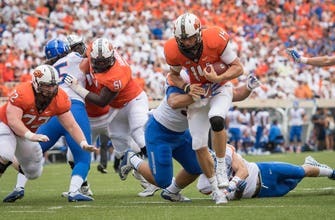 Oklahoma State blocked two punts and Matt Ammendola made three field goals, including a 48-yarder. Meanwhile, Boise State’s Haden Hoggarth hit a 26-yard field goal off the goalpost in the first quarter, and the Broncos averaged fewer than 20 yards on kickoff returns.